Agent Cody Banks 2: Destination London isn’t a good movie and where the first at least had the fun factor, this one is left with bad writing and below average acting since it doesn’t have the benefit of featuring the likes of Angie Harmon, Ian McShane or even Darrell Hammond as presumably the studio wanted to cut costs. It’s action across the pond this time around when Agent Cody Banks (FRANKIE MUNIZ) is called on to help locate stolen plans for a mind-control device. With the aid of his new handler, Derek (ANTHONY ANDERSON), and MI6 undercover operative Emily Sommers (HANNAH SPEARRITT), Cody’s in hot pursuit of the dastardly Lord Duncan Kenworth (JAMES FAULKNER), the mastermind behind the plot. A poorly made and written sequel, Cody Banks 2 lacks the fun and imagination of the first film not to mention a decent supporting cast. Although the budget was slightly larger, it felt cheaper in places with a smaller plot however they do at least utilize the London locale. Unlike the first movie, this one skews even younger, probably anyone under 12 will enjoy it. 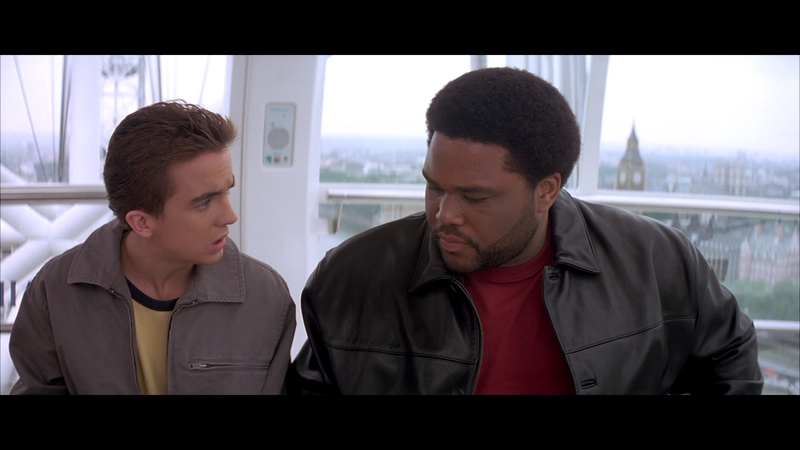 Agent Cody Banks: Back in Action (8:41; SD) is a basic making-of featurette with cast and crew interviews. Deleted Scenes (3:03; SD) and Extended Scenes (3:40; SD) contain footage removed but nothing of real note. Olive Films releases Agent Cody Banks 2 onto Blu-ray presented in its original 2.35 widescreen aspect ratio and a 1080p high-definition transfer. The picture quality is a bit good and bad. While detail is alright and there were minimal amounts of dust marks or specs, but they are there, the colors are rather bland. Otherwise, this was an adequate looking transfer though nothing overly remarkable. The disc comes with an impressive DTS-HD Master Audio 5.1 track which provides for clear dialogue levels while the front and rear channels make the most out of the various action sequences not to mention a generic score. It’s not the most robust or loud lossless track but still gets the job done. 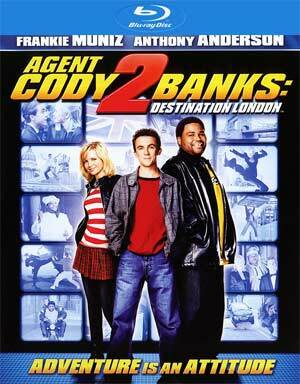 Overall, Agent Cody Banks 2: Destination London isn’t a good movie and where the first at least had the fun factor, this one is left with bad writing and below average acting since it doesn’t have the benefit of featuring the likes of Angie Harmon, Ian McShane or even Darrell Hammond as presumably the studio wanted to cut costs. The Blu-ray released through Olive Films has decent video and audio while the extras are very basic.